Do you wonder what a publisher will advise you as a first-time writer if you have the opportunity? That’s what this book is all about. Randy Davila, is the president of Hierophant Publishing and Hampton Roads Publishing Company, and he will give you “33 essential tips to write, promote and sell your book” based upon his experience with his novel, his author workshops, and the publication of books by well-known authors as Miguel Ruiz Jr., Eckhart Tolle, Richard Bach, and Jack Canfield. I have read numerous writers’ posts about these topics, and I still found valuable information in this book. In fact, it includes advice for fiction and nonfiction stories as well as traditional publishing or self-publishing. 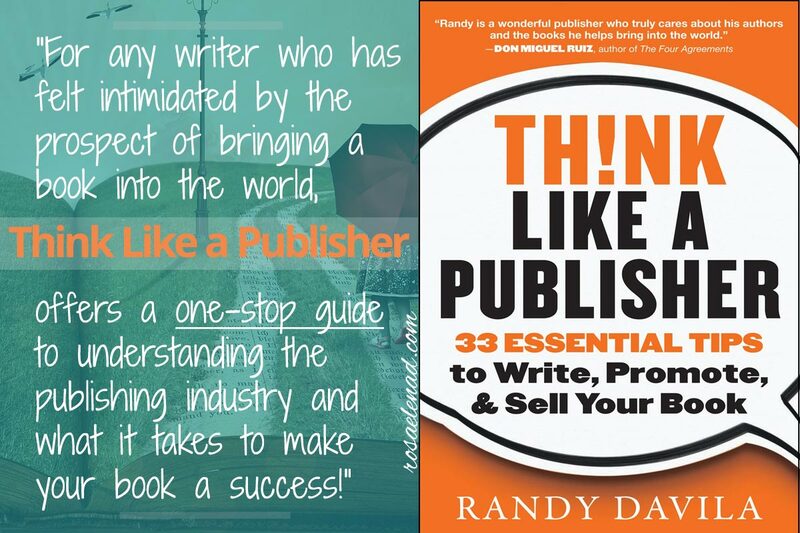 I recommend this book to first-time writers, and if you consider giving writing a try so as not to have unrealistic beliefs and expectations of the publishing industry and your career as a writer.